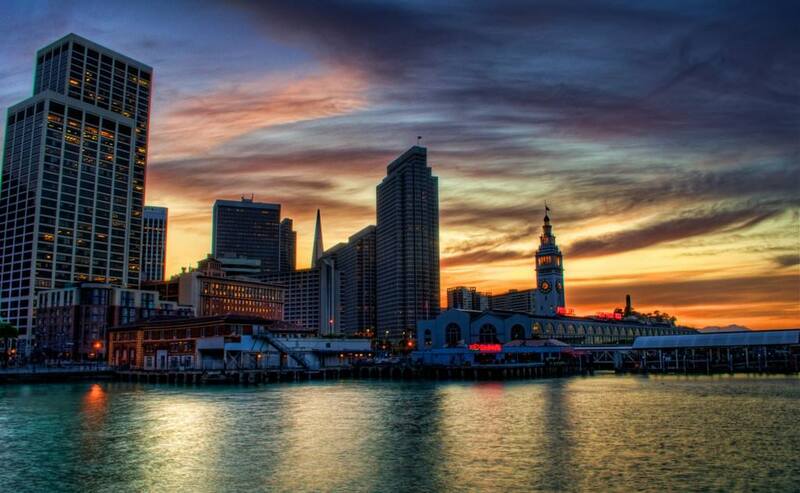 One of the most beautiful cities in California - San Francisco - is located near the coast of Pacific Ocean. The architectural ensemble of the city combines culture, traditions and customs of various peoples and countries. In San Francisco are well-developed automotive and petrochemical industry, shipbuilding and aircraft construction. Located between the strait, the gulf and the ocean, this city is famous for the development of commercial shipping and great service industries. On the territory of the city is located the famous Silicon Valley, where are headquartered companies that are known as world leaders in the electronics industry, Internet resources, and more. 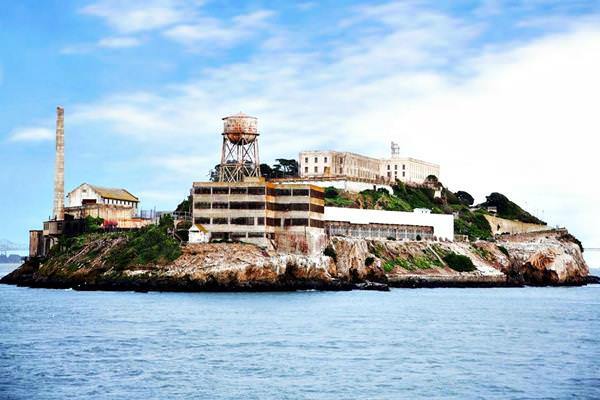 The famous Alcatraz Island is the main landmark of this place. Located in the bay of San Francisco, in the past the island has been used as the naturally isolated military defense fort and the prison for dangerous criminals. Among other attractions are the beautiful suspension bridge named Golden Gate; Coit Observation Tower, which observation platform located on19th floor features panoramic views of the city's largest Golden Gate Park artificially landscaped with plants, flowers and trees; visitors may also enjoy visiting Monterey Island famous for its amazing beaches. Lombard Street is really beautiful and unusual place. The street itself is a small stretch of a highway on the Russian Hill with a length of 400 meters. This street is one of the most winding in the world. Travelers are attracted here by incredibly beautiful flower beds on both sides. The road surface is made of red brick, which makes the street even more unique. Painted Lady architectural complex lies in the historic district of San Francisco. This is the title of several Victorian villas located next to each other and that managed to survive during the devastating earthquake of 1906. The historical buildings own this name due to the bright color of the facades. Such an exterior was acquired during the reconstruction in 1963. Amateurs of hiking should definitely visit Chinatown quarter. This is real China in miniature, which will please with unusual architecture, specialized restaurants, and shops with goods from China. This area began to emerge in the middle of the 19th century. Refugees from China built their homes here. During the existence, it retained many interesting architectural monuments. Now, Chinatown is known for its numerous noteworthy cultural centers and museums. The most unusual religious landmark of San Francisco is Grace Cathedral. Its construction began in 1906 and was completed in the second half of the 20th century. Nevertheless, it is difficult to imagine that the building is new. The Cathedral is created in the best manner of the past. Its interior is a true example of the Neo-Gothic style. Visitors can appreciate beautiful frescoes and stained glass windows, as well as decor elements made of bronze. This guide to iconic landmarks and sights of San Francisco is protected by the copyright law. You can re-publish this content with mandatory attribution: direct and active hyperlink to www.orangesmile.com. Check on the map: Distance from San Francisco center - 7.1 km. Check on the map: Distance from San Francisco center - 5.8 km. 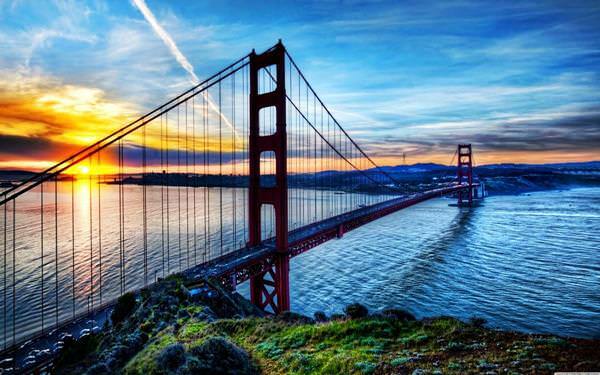 All about San Francisco, USA - sightseeings, attractions, touristic spots, architecture, history, culture and cuisine. Prepare your trip together with OrangeSmile.com - find out the 'must see' things in San Francisco, which places to visit, which excursions to take, where the breathtaking views are waiting for you. Planning your trip with this travel guide will help your to get the most out of San Francisco in few days.